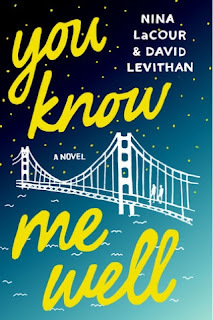 Review: ok so I knew I really wanted to read this novel but I totally didn't know what to expect from it. 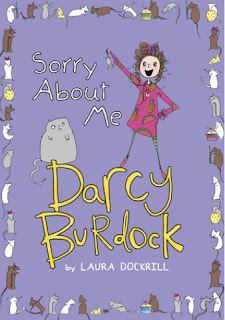 I was so intrigued to see how a middle grade book deals with this in a way that is open and accepting to its audience. I'm still not sure how Alex Gino has done this, but it has been achieved. 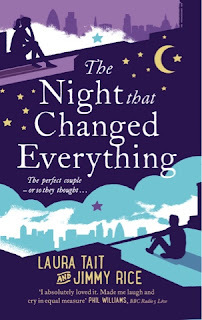 I loved every moment of this book, it made me think, it made me happy, it made me sad, it was everything I hoped it would be and more. The character of George is such a strong character. She wants to be accepted, she is confused as to what being accepted will look like and yet she is confident enough to already knwl who she is and to knwl that the person she is living her life as isn't right. 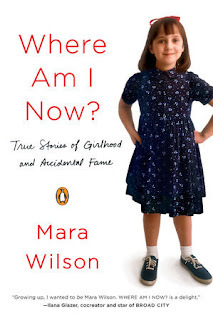 She has so many ideas what what it means to be a boy and what it means to be a girl , I seriously wish I had known who I was in such a strong and confident way when I was in fourth grade! 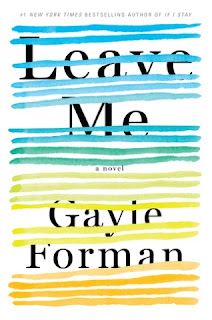 This is such a character driven book and we get to to see and hear what George is feeling and go through this whole process with her. 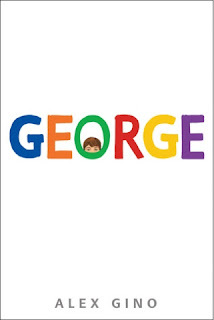 It is hard to comment on the storyline of this bok because the book and the storyline is George. We get to live a week in Goerge's shoes and get to see how she handles telling Freinds and family that she doesn't want to live as a boy anymore. I loved some of the other characters in the book. I really liked reading about George's Mom's journey and also I found myself like George's brother more than I thought I would. I loved Kelly and I think anyone reading this book will wind up wanting her as their best friend! I also loved the principal of George's school and I loved all the moments that were set in and around the school, I thought it was written incredibly well. 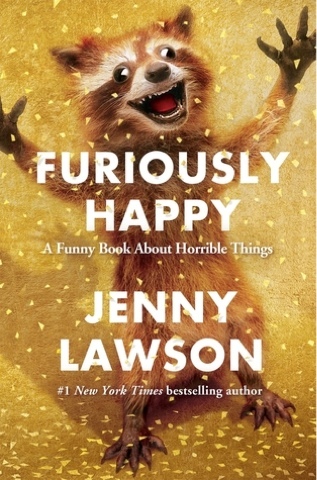 This is an important book and an important story. I love the fact that this is a middle grade read and that I am sure that I have got as much out of this novel as a middle grade reader or a young adult reader would. 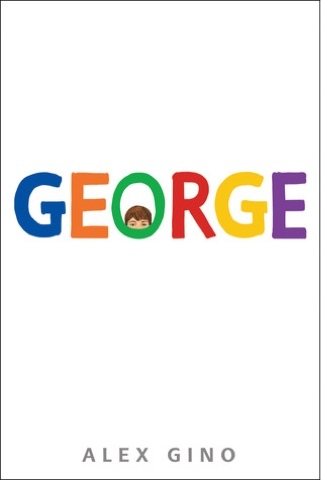 This is a short but sweet story but George as a character, will stick with you for a long time! To grab your copy now click here! 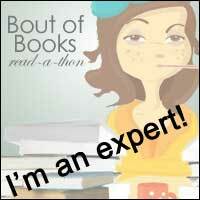 The Holiday BookTubeathon starts today. To find out more about that. You can watch the info video below or follow the twitter account. This readaton only last 3 days instead of the usual week and so it a lot less fast-paced than the regular BookTubeathon. Pick a book with your favorite colour on the cover. This will be The One We Fell in Love With by Paige Toon. Although the finished cover doesn't have pink on it, the proof cover does. See my video if you want photographic proof! Pick a book from a genre you have discovered/re-discovered this year. 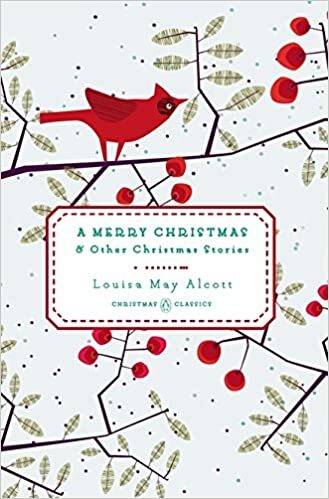 As you know recently, I've been reading quite a few short stories and enjoying them so I'm going to replace A Gift For You by Patricia Scanlan (because I have already finished it) with A Merry Christmas by Louisa May Alcot. This is selection of Christmas short stories, because the tree is still up, by the author of Little Women. I watched that the other day so it totally seems appropriate! I will try my best to chronicle what I am reading over the 3 days and post the update video on my YouTube channel so if you haven't already subscribed, then feel free to do so then you won't miss the updates. You can also watch all my vlogmas videos up to xmas eve on there-yey! 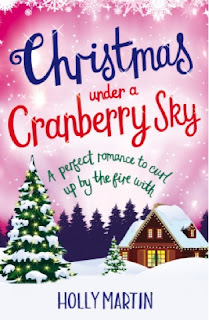 Review: this is one of those proper heartwarming Christmas reads and definitely something that should be in your festive TBR! 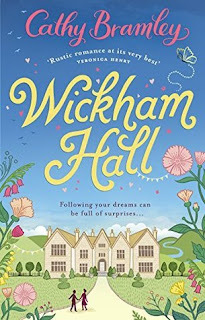 this is the third book set in the village of Wynbridge and I haven't actually read the first two but, let me tell you, that really didn't matter! 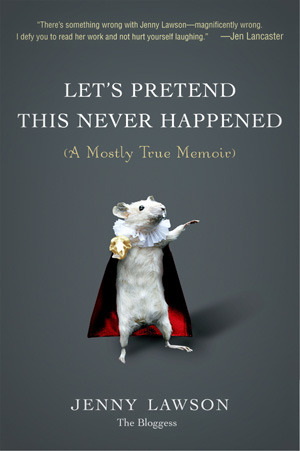 So now you know that you can read this book without having read the first two! 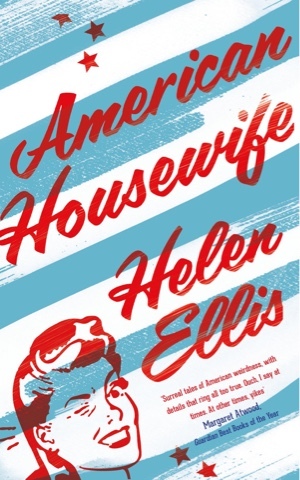 I will tell you though that if you are planning on reading either of Heidi Swain's previous novels, you should read them first because otherwise you will be spoiled by things that are revealed about the characters in this novel. Now that that's out the way, let me go into my thoughts a little more. I loved the premise behind this novel, Ruby returns to Wynbridge and goes to work on a stall in the market for her friends who run the Cherry Tree Cafe. But her parents are against her doing this and she has just decided not to carry on with her masters. Returning to a home town around Christmas time is something that a lot of people will experience and so m ah readers will be able to relate to this. We also know that this can come with downs as well as ups and so this is also something readers will be able to relate to. The whole storyline is incredibly uplifting though. Ruby has to face a lot of stuff coming her way and the way she deals with it all is admirable and makes for really compelling reading. I also loved the friendships in this story. Ruby has a lot of friends in Wynbridge and she makes a lot more over the course of the novel! I really loved the characters in this book, they are all so unique. I particularly love Ruby's closest friendship group, they are all so forgiving and so hardworking too, I really admired that about them. As I mentioned above one of the things I loved about Ruby wa that she never gives up and she is determined for things to go the right way, but she is also a romantic at heart and so I could really relate to her. 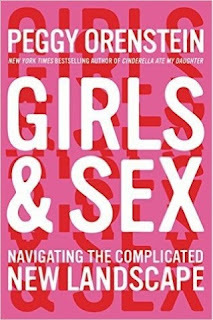 She has an interesting relationship with her family and so that was fun to read about and of course there is her scandalous relationship past to contend with too! 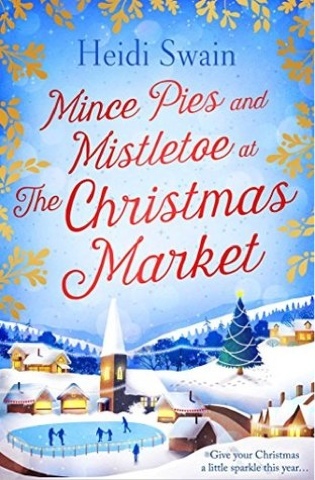 I loved the setting of this book, I think this is partly because I grew up in a market town and so so much of this book felt so familiar to me and I could properly picture the market and the atmosphere of a town like this at Christmas. 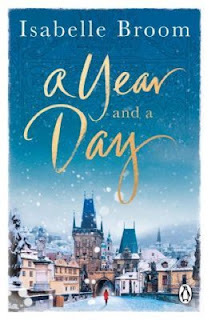 Even if you haven't been to a Christmas market before, this book will transport you there and transport you to a world of magical warmth, hard working people and proper festive spirit. 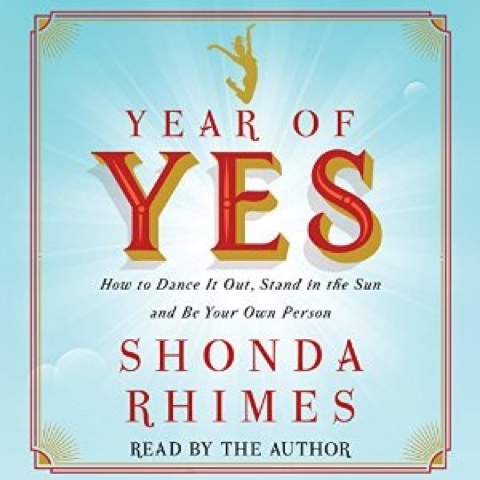 I so enjoyed reading this book and I know you will too! 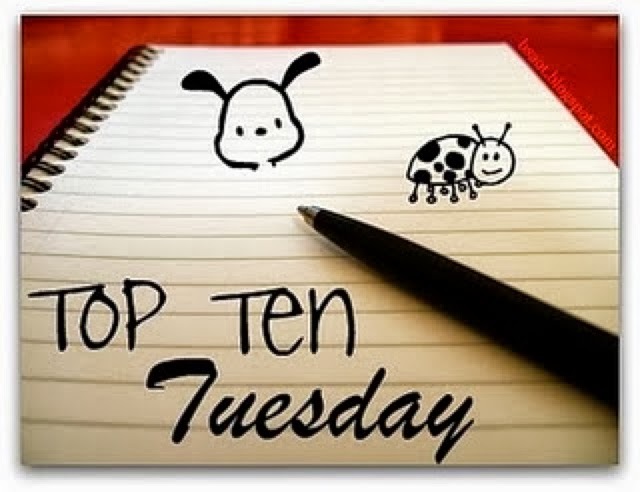 Please do let me know in the comments what your top ten are, I'd love to see your lists, link away! I hope you're having a wonderful festive season and a Happy New Year when it comes! Touchingly funny, warm and life-affirming, this is a sparkling story of second chances. Perfect for fans of Cecelia Ahern, Searching for a Silver Lining by Miranda Dickinson will take you on a trip you'll never forget. 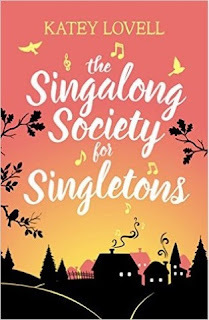 Review: I love a Miranda Dickinson novel so I'm not sure why it took me to long to read this one! This book has 3 main storylines, all mingling amongst each other but I'd say that the three are very distinct. We have the story involving Mattie, Reenie and club owner Gill and their road trip to try and get the group The Silver Five back together for one very special performance. I would say that this was my favourite of the three storylines. The road trip takes in so many parts of the country and takes in some of my favourite places, including Barter Books, Beaconsfield Services and Soho! I really loved the situations they got themselves into and the travelling itself! The other 2 storylines involve Mattie and her Grandad Joe. The novel begins with his funeral and we know straightaway that he and Mattie weren't talking when he died and so she feels like she needs to make it up to him. I wasn't as keen on this storyline, I'm not really sure why, perhaps I just didn't like how much of her life Mattie was dedicating to making it up to him, but the flashbacks to Grandad Joe's life ere very interesting and I liked them. 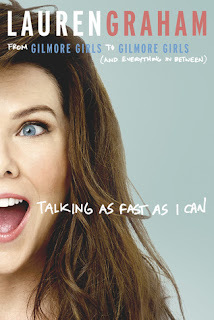 The other storyline is, of course, a love story and what's not to like about that. I'm not going to go any further into that one because I don't want to give anything away! In terms of the characters, I defy anyone not to love Reenie. She is a typical diva, but over 80 and living in a retirement community. I loved how bolshy she was and I loved her accent, it totally comes right off the page and whenever she is speaking or recalling something, you can hear this Cilla Black type matriarch right there in the room with you. Matilda, Mattie Bell is an interesting character. I didn't find myself warming to her quite as much. I think this again comes down to the fact that she lives her life so much in the past and dwells on things so much. I loved that she was so determined to help Reenie though and make things right for her, and I loved the relationship that she had with her sister, Jo and her cousin Jack. Gil, the club owner is another major character in the book and I liked him when he was in the club, doing his thing, but not as much when he was taken out of that setting and chatting to Mattie and Reenie. 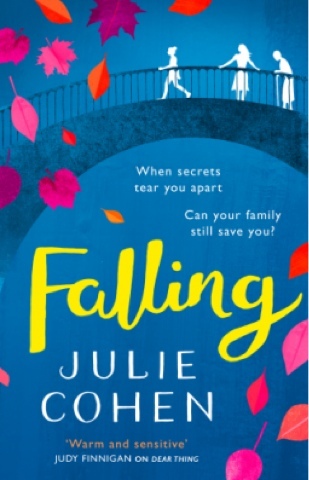 Ultimately this is a story of hope and of second chances, but there are also some great insights into relationships of every kind, family, friends, lovers and enemies and I really liked that strong theme coming through. 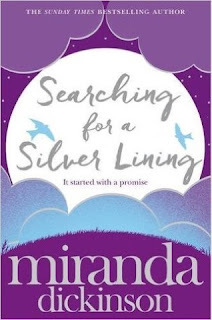 I always love a Miranda Dickinson book and, as with all her novels, you will leave this novel feeling heart warmed and having great faith in your fellow man! To get your copy now, just click here. It's my Birthday! 32 facts about me! Yes it's my birthday today! 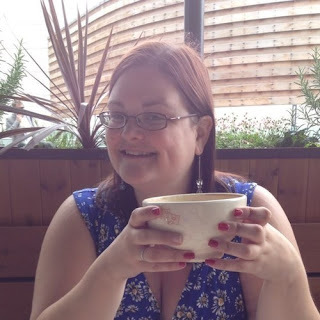 And in case you hadn't guessed from the title of this post, I am 32 today (more on that below!) So I always do something different on the blog on my birthday, I think last years was rather rushed so apologies for that! This year I decided to let you in on some facts about me which you may or may not know, but hopefully you get a little bit more of an insight into me because of them! I;m also going to do a video on this too if you'd rather watch that. 1. I am a teacher and right now I really miss it! 2. I lived in Scotland for 6 years. 3. I spent 5 years at university. 4. I am currently 50% through a masters in Education. 5. I have 3 first drafts and 2 short stories hiding on my computer! 6. 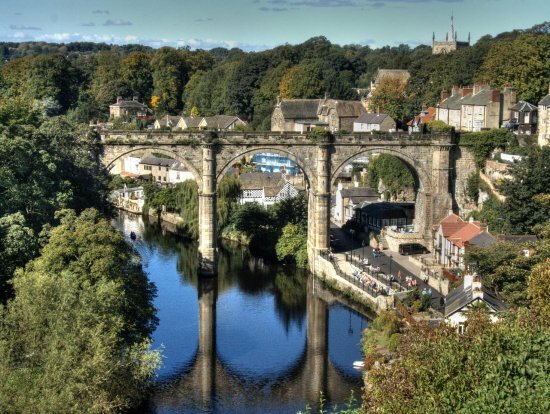 I was born in Yorkshire, very proud to be a yorkshireman! 11. Have 2 tattoos, both of my fvaourite things! 12. I love musicals-especially stage musicals! 13. Glasgow is my favourite place to be, instant sense of home there! 14. I collect Starbucks locations and have been to 360 as of today (I'm drinking one right now)! 15. Just got married in Las Vegas! 16. I'm an only child-I like it! 17. I love whisky and have an extensive collection! 19. I have a phobia of balloons and people in costumes. 21. Both my parents are scientists but I'm just not! 22. I love to coupon and get lots of free stuff because of it. 23. My degree is in RE/Theology and English Language, I loved it! 24. I have a good sense of direction and can always find shops! 29. I love baths, especially with Lush products in them! 30. My favourite Disney film is Aladdin. 31. I hate anything orange flavoured. Please do let me know if any of these facts are new to you, I enjoyed sharing a little bit more of myself with you and I hope you have a lovely Christmas! 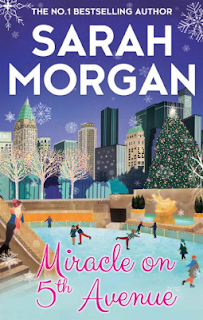 Guest Trilogy Review: Manhattan With Love by Sarah Morgan. Warning: Contains Some Spoilers! Review: These three titles represent Books 1, 2 and 3 of the From Manhattan With Love trilogy by Sarah Morgan. I hope that she won't mind me reviewing them all at the same time. They do each stand alone, but really deserve to be read in sequence. Also, the stories are quite intertwined, so it is difficult to write about them without giving away plot points, so apologies for any spoilers. 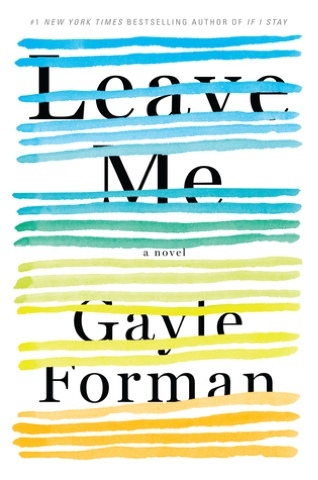 The books deal with the lives and loves of three girls from the same small island community who have moved to live in New York and work for the same events company. The girls, Paige, Frankie and Eva, live in a rather magnificent sounding Brooklyn brownstone owned by Paige's brother, Matt. A landscape designer, he has created a rooftop terrace where they and their friends can relax and share the view. It sounds an idyllic place to spend summer evenings. Each book centres on a different girl. 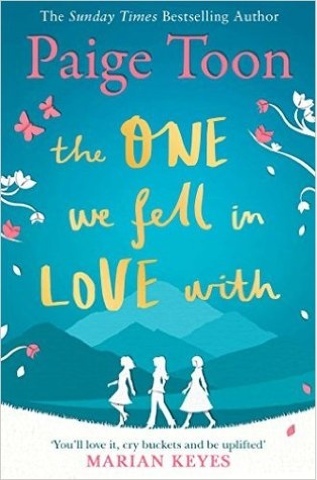 In the first, Paige is on the way to work expecting to be told of her promotion, but instead all 3 girls find themselves out of work and wondering what to do. A way in which they can continue to use all the skills they have learned and contacts made over the years occurs to them and forms the basis of their professional activities in this and subsequent books. Whilst working hard to build a successful business, each of the girls is looking for romance; often it comes from unexpected directions. 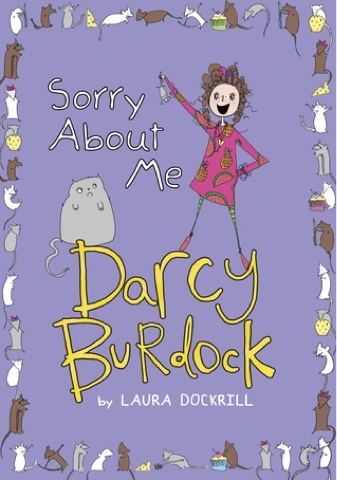 I very much enjoyed these books. 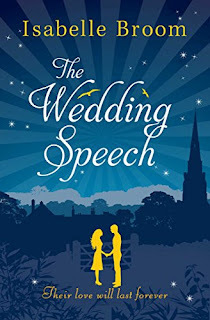 Sarah Morgan really brought everything to life with her skilful writing and clever descriptions. The last title was a lovely festive read. As I said, each book could be read in isolation, but I would definitely recommend the whole trilogy. 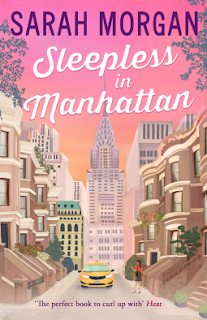 The books are easy to read, and you find yourself quickly immersed in life in Manhattan. To get your copy just click the image of the book that you want! 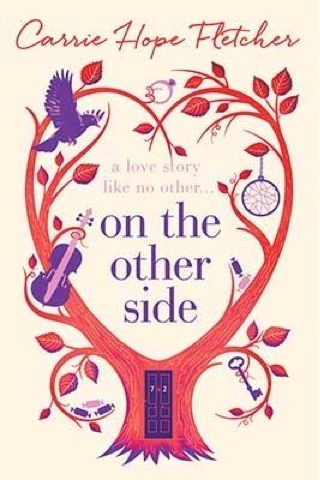 Review: This is an exclusively digital short story from the ever popular Katie Fforde. I'm trying to read as many festive stories as I can this year, so was delighted to see this one pop up on Twitter. The story revolves around Meggie, a nineteen-year-old who is over the moon to be asked to spend Christmas as a mothers' help rather than spending the holiday with her father and rather stuffy stepmother who seems to take delight in making her feel inadequate. 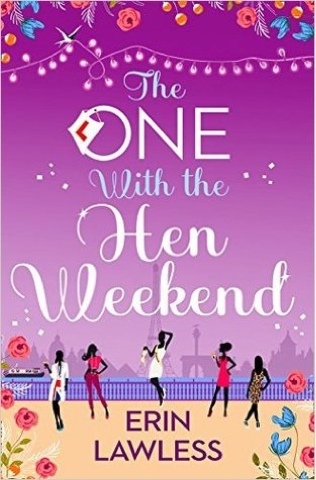 Her temporary job turns out much better than she thought as she looks after the children at a large house party. There might even be the possibility for a bit of romance too. Although this was a short story, it is full of interesting characters arriving to stay for Christmas at this rather large and comfortable country house. 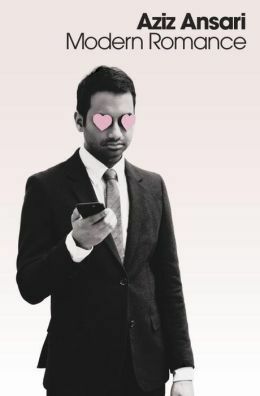 They are not all pleasant people to be cooped up with for the Big Day, but there are plenty of loveable ones to dilute out those who are less likeable. 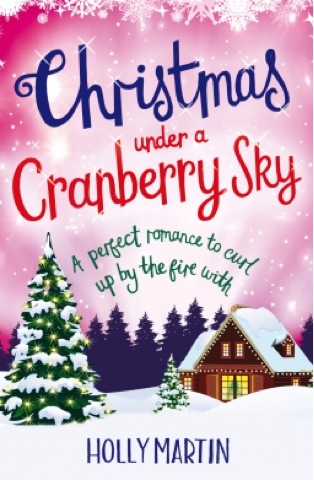 If you're looking for a festive tale to curl up with for a couple of hours, this could be just the ticket. Click here to get your copy! Oh so much fun, a Christmas wish list! Now then I will probably continue to do as I have been doing and get some of these books from my local library at some point but these are definitely books I am lusting over at the moment! I would rather Santa left me some more reading time under the tree and maybe a job too but the two would definitely cancel each other out so now I'm just being silly! 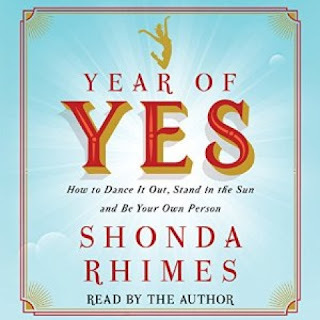 I think I'll just go ahead and add these all to my library wish list and be done with it, I hope they have some of them on audiobook-fingers crossed! A free festive read from Harper Impulse and bestselling romcom author Erin Lawless. 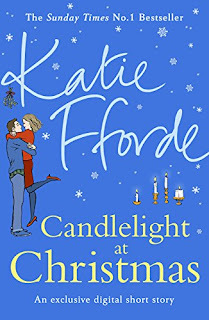 Review: This was such a sweet story and lovely quick read for this time of year! 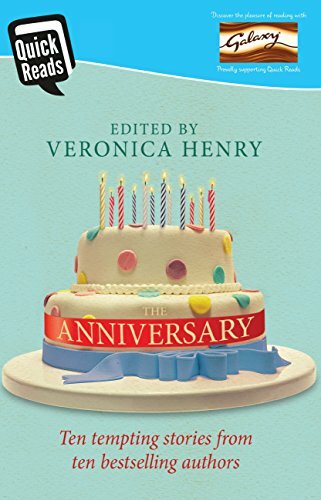 This short story is under 25 pages and it really is delightful to have something that is as quick as that to read but this is a complete story in itself. 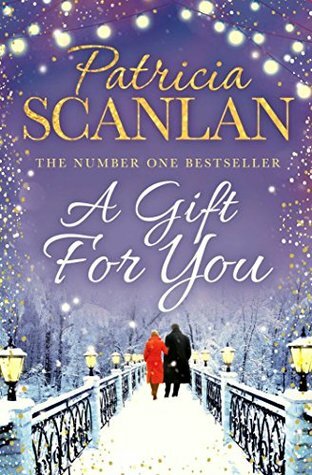 I really enjoyed this little break from the madness of the festive season and this is a proper romantic read so perfect to take you away from all the materialistic business that Christmas often brings! 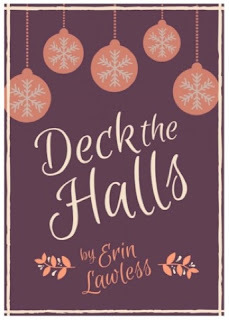 This story takes place in a hall of residence and we get to meet Josie, find out about why she is in her halls over Christmas time and spend Christmas eve with her. We learn a lot about Josie and that mysterious man, something which is so hard to do over quite so few pages and I really was left feeling like I wanted to know what happens next. Any story that leaves you wanting more is a win with me and I'm sure that you will feel exactly the same way when you finish reading this. I loved it, it made me feel all warm inside and I want to know more about Josie and the mystery man! 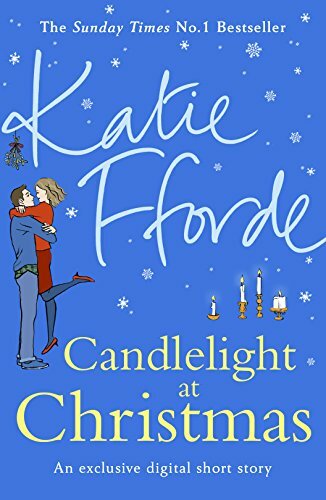 Review: This was such a fun Christmas read. 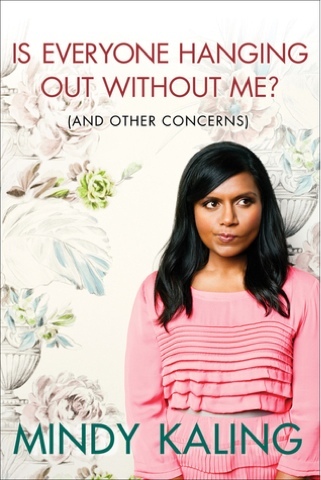 If you're looking for something to read during this busy time of year, you have it right here. 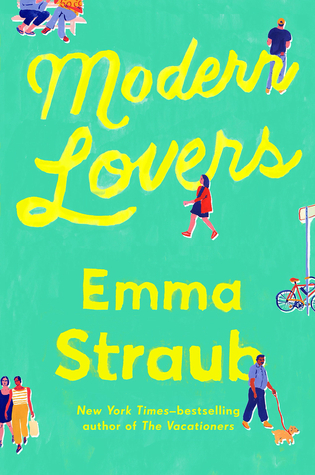 Because this short story is under 60 pages, you can read it in one delicious sitting. 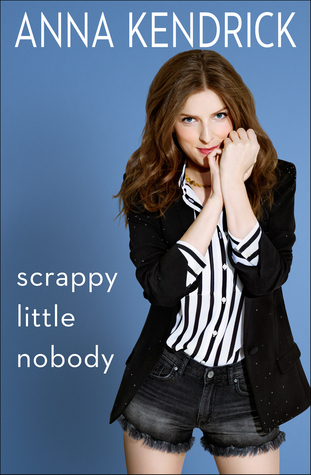 But what it lacks in pages, it certainly doesn't lack in content. This little beauty has all the features of a full-length novel and will definitely leave you wanting to know what happens next! This book sees Cerys on New Year's eve and, as you can see from the blurb, she is the recipient of not one but 3 proposals that night. We get to learn a lot about each of these three men and Cerys herself as well as her best friends. We learn as much about her in 59 pages as you would do in a full length novel and I loved spending this time with her. 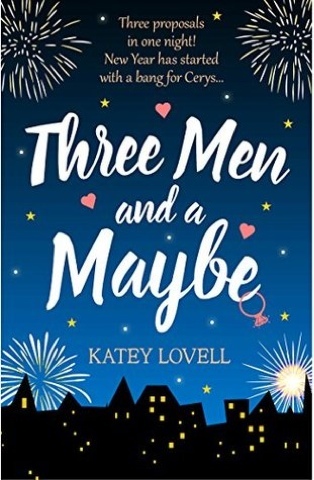 The structure of the story is that we flashback to when Cerys met each of these potential suitors and we get a little insight into what went down with all of the men. I really liked that, although the story is set at literally 5 minutes to midnight, we actually get to see this story unfold over the course of 13 years or so, so not quite the short story it seems to be at first. 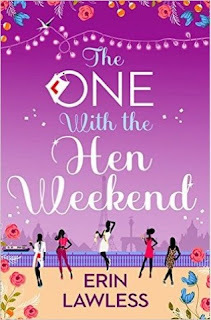 I loved the structure, I loved the characters and I absolutely need to know what happens next to this fab main character. Katey Lovell, please continue this story! To grab your FREE copy now click here! At the beginning of this month, I wrote about how far behind I was on my Goodreads target for the year and I also talked about the books that I wanted to read during the month of December. I also made a video on this subject and so I thought it would be a good idea to update you on what I had read this month so far, how that was all going and how I'm getting on with my Goodreads target! Here's that post so you can see which books I said I was going to read... If I've already reviewed the books, just click the link below the image to see what I thought! I've increased my Goodreads reading challenge from 55 to 64, which is still pretty bad since last year I read 132 books! I've still read more than a book a week though, which is cool and I've found that I'm really enjoying the short stories!